The first national park in Turkey was established in 1958. Since then their numbers have increased to twenty-one. Some of these parks, which were initially established for archeological and historical purposes are at the same time rich habitats where biological diversity is being protected. The Olympos-Bey Mountains National Park in the province of Antalya in the Mediterranean region, for example, contains a wealth of flora and fauna, which are either endemic or relic distributions, in addition to important archeological ruins. The Köprülü Canyon National Park in the same province is the home of Cupressus sempervirens forests. Natural forests of this tree no longer occur elsewhere in the world. In addition to its archeological and geological treasures, this park also contains a large number of endemic plants and rare animal species. The regional distribution of national parks in Turkey is as follows: Mediterranean – 6, Central Anatolia – 5, Marmara – 3, Balck Sea – 3, Aegean – 2, Eastern Anatolia – 2. Their surface areas vary between 65 hectares (Kuscenneti National Park) and 69 800 hectares (Olympos + Bey reached 400 000 hectares. Although the majority of the national parks are found in forest lands, there are also a number which are established in areas where steppe-type vegetation predominates. 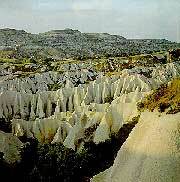 Examples are Munzur Valley (eastern Anatolia), Baskomutan, Göreme, Bogazköy-Alacahöyük (all in Central Anatolia), and Nemrut Mountain (Eastern Anatolia-Adiyaman). 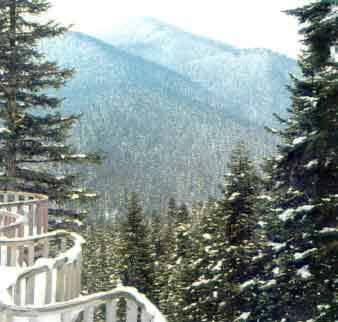 Among the national parks, the famed Kuscenneti National Park is characterized by a particularly significant ecological structure. The Kuscenneti National Park is one of the many prime quality wetlands in Turkey and is located in the southern zone of the Marmara region. This area was established as a national park in 1959, was awarded “European Diploma” in 1976 by the Council of Europe, and Diploma was renewed in 1981, 1985 and 1991. The growing consciousness that Turkey enjoys a special status from the point of view of biological diversity has led. 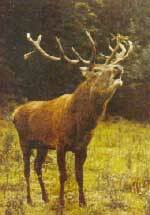 between 1987 and 1991, to the designation of twenty-three areas as mature preserves. Their scale varies between 86 hectares (Haci Osman Forest – central Black Sea region) and 17 200 hectares (Sultan Marshes – Central Anatolian region), and their total area reaches 55 011 hectares. Most of these nature preserves are smaller in area than national parks, which allows for their enclosure and leads to more effective protection. All the nature preserves have been designated as such due to various biological characteristics. Some of these are listed in the table below, which indicates the reasons for their selection as areas to be protected. By means of legislation adopted in 1990 Turkish governments have taken under protection twelve areas and have granted these the status of Special Areas of Environmental Protection. These areas have been selected not so much for their biological characteristics but in order to prevent tourism and construction from encroaching on their natural beauty. Among these Mugla-Köycegiz-Dalyan area has been brought under protection because it is the habitat where Caretta caretta, which has recently become the focus of world public attention, lay their eggs. 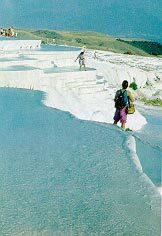 Pamukkale is under protection because of its world famous calcareous sediment; the Ihlara Valley, due to its historical significance as one of the earliest dwelling places of Christians and because of the presence of chuches and temples containing painting and frescoes. In addition to the areas of environmental protection cited above, there are also enclosed zones of smaller scale which are under protection. These serve to protect some animal species which are either rare in Turkey or in the world, or face the danger of extinction. These animals are preserved and bred under special care and some are released into nature when their populations reach a certain level. 1. A red data book was published in 1989 indicating the levels of endangerment faced by Turkish plants according to international IUCN classification. A similar study was conducted for species of birds. 2. Two gene banks have been established. One is located in Izmir, Menemen and is devoted especially to preserving the seeds and reproductive parts (diaspore) of cultivated plants in Turkey. Recently, they have also started collecting the seeds of non-agricultural wild plants for purposes of preservation. A second gene bank, fonuded in Ankara in 1990, has as its purpose to collect and preserve the seeds of native plants which constitute the wild ancestors of cultivated plants. This bank started operations by securing the seeds of plant species in the Gramineae and Leguminosae families found in the valley which will be left under water upon completion of the GAP (South-eastern Anatolian) project. It is probable that a large number of field crops had originally evolved in this area. 3. In accordance with the Bern Convention, to which it is a signatory, Turkey has added approximately seventy plant species which are in need of protection, both at the level of seeds and habitats, to the convention list in 1990-91, and the necessary measures are now being taken for their protection. 4. In addition to the Bern Convention, Turkey is also a signatory to the Barcelona Convention concerning the pollution of the Mediterranean and the Paris Agreement on the protection of Birds. 5. 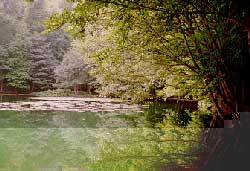 Although Turkey has not yet become a signatory to the RAMSAR Convention (it is expected that Turkey will sign this agreemnet in 1992), work is being undertaken to protect wetlands both by the state and by voluntary environmental protection organizations and with the participation of concerned scientist. As a result of such work, operations and with the participation of concerned scientist. As a result of such work, operations which had been designed to drain the wetlands, and which in fact resulted in the total drying of some areas, have stopped. The conversion of wetlands into agricultural land has also been halted. Serious measures are now being taken in order to prevent the pollution and degeneration of such areas. 6. Turkey has applied for membership, in December 1991, to CITES. The purpose of this convention was to protect endangered animal and plant species which are subject to commercial trading, and to bring under control their export and import. Turkey has imposed restrictions on the removal from their natural habitat of certain bulb plants, plants with rhizome roots, and tubers (geophlytes) which have been increasingly endangered since the 1970s. More importantly, efforts are being made to restrict their sales abroad. The decree published in 1989 and revised in 1991 allows for the supervision by the state and by scientists (mostly botanists and agricultural scientists) over the cultivation, harvesting, and exporting of these plants. The export of Galanthus elwesi, which is the most important of such plants under close control, has been reduced by stages during the last three years. While its exports had reached 40 million bulbs during the first half of the 1980s, this trade was restricted to 30 million in 1990, 20 million in 1991, and 15 million in 1992. Two projects have been initiated in 1991 and 1992, the first with the Netherlands, the second with Britain, which aim to cultivate G. elwesi and other species in fields. Restrictions have also been imposed on the export of Vipera kaznakowii, and of several species of predatory birds. The Ministry of Environment was established in 1991, as a consequence of the careful attention paid to environmental problems in Turkey. Work on such problems which have increasingly occupied the agenda of the world public opinion, was initially conducted within an under-secretariat, and a directorate, and was subsequently upgraded to the level of a ministry of the cabinet. The focus ofthe work of these environmental agencies was initially pollution, although in the last few years, conservation of nature and of living things has been accorded a greater status. The new ministry still operrates via a central organization although work is under way to institute regional administrations. This will provide the ministry with more effective means of opperation and a greater geographical extension.